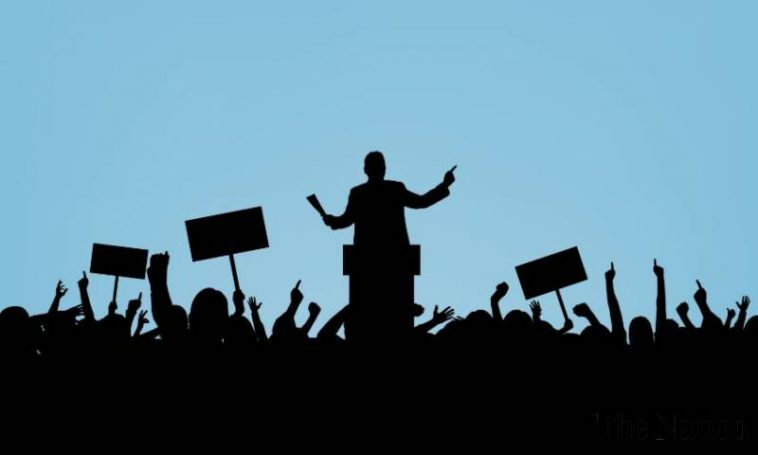 With the failure of the regular media and pollsters to predict the outcomes of the Brexit referendum and the US presidential election, the word populism is being widely used to describe what is seen as the upending of the usual political expectations. But what is populism? In 1967 the London School of Economic held a conference “To define populism”. The participants included some of the leading political scientists and philosophers, including Isaiah Berlin, Richard Hofstadter, Kenneth Minogue, Ernest Gellner, et al. (The discussion was summarised in “To define Populism”, Government and Opposition, 1968). Their general conclusion was that “everyone agreed that the subject was too vast not merely to be contained in one ‘definition’, but to be exhausted in one discussion”! A more fruitful avenue is through the lens provided by S E Finer’s magisterial The History of Government. He notes that the Enlightenment notion of popular sovereignty as the legitimising principle of all political authority, as contrasted with the “traditional” bases in theocracy, divine right, noble birth, or caste, became the accepted norm with the American and French Revolutions, which ushered in the modern state. But this does “not predicate any particular form of regime; it will accommodate liberal democracy, autocracy, oligarchy. Even totalitarianism, providing only the office-bearers are able to convince the public they have received office by popular mandate — whatever this is (and however contrived)”. This doctrine then gave rise to two forms of polity. The first based on English foundations was provided by the American constitution based on representative, not direct democracy, and with all sorts of checks and balances to prevent the government encroaching on citizen’s liberties. It embodied the classical liberal principle of limited government. The second was an antithetical form as advocated by Jean-Jacques Rousseau (who despised representative democracy) which held that “the sovereignty of the people could never and should never be abridged”. As long as any individual was elected to power by a popular vote or plebiscite, or after seizing power violently was confirmed by a popular vote, he would unite the legislative, executive and judicial powers in himself with no guarantees for civil or other rights. For all three powers were conjoined in one person who incarnated the “Voice of the People” “whose will is always legal. Indeed, it is the law itself”. This is the road to “totalitarian democracy”, taken by Napoleon Bonaparte, Adolf Hitler and Benito Mussolini. It is populist authoritarianism. This explains why labelling the Brexit and the US election outcomes as populist is so maladroit. For, these are the oldest liberal democracies with entrenched separation of powers, where it is inconceivable that they can be converted into totalitarian democracies. It is in the continental countries – particularly some of the east European countries – where, given the growing dysfunction of the EU, the threat of populist authoritarianism lies. The question remains: What explains the unexpected Brexit and US election outcomes? I have given my answers in two earlier columns, which were largely economic (“Insurgents in the primaries”, February; and “Why I voted leave”, June). But, it seems to me now, that there is a deeper and – for those imbued with Enlightenment values – a disturbing cultural counter tendency. One of the consequences of the secularism promoted by the Enlightenment was “the disenchantment of the world”. This repudiates the deep human desire for cosmological beliefs which give meaning and purpose to their lives and relationships to others, but most important of all to explain and come to terms with death: Man’s inescapable mortality. The rationalist secularism of the Enlightenment brought with it its own modern darkness. As Benedict Anderson in his Imagined Communities puts it, “Disintegration of paradise: Nothing makes fatality more arbitrary. Absurdity of salvation: Nothing makes another style of continuity more necessary. What was then required was a secular transformation of fatality into continuity, a contingency into meaning.” The imagined communities of the nationalists and religious fundamentalists were the answer. These cosmological beliefs were threatened by the rise of the progressive cultural agenda of cosmopolitanism, and multiculturalism of the left-libertarian parties and other progressive movements advocating non-traditional values and causes. The current older generations, which when they were the ‘flower power’ generation and the progenitors of this renouncing of traditional cultural values, are ironically at the forefront of the cultural backlash against the “political correctness” that had been engendered to enforce a progressive cultural agenda. A recent statistical study of the rise of “populist” parties in the West (Ronald Inglehart and Pippa Norris, “Trump, Brexit, and the rise of populism: Economic have-nots and cultural backlash”, Harvard Kennedy School, RWP16-026) finds that it is the cultural backlash rather than economic distress which explains their rise. This still leaves the role of economic populists in the Third World. Latin America, which I visited and studied in the 1980s, was the major arena for the political cycles of democratic populism followed by authoritarian repression, as the dissonance between its extreme inequalities due to its ecological and political heritage and its Christian cosmological beliefs in equality, play themselves out. But lacking any entrenched liberal constitutional order it has also seen the establishment of authoritarian populist democracies, such as Juan Perón in Argentina, Getúlio Vargas in Brazil and most recently Hugo Chávez in Venezuela. What of India? With a by and large entrenched liberal democracy – despite the wobble of the Emergency – “populism” has taken two major forms. The first which still retains its intellectual dominance is redistributive. It views the majority of its citizens as being dependent children who need the state to provide for them. The other is to empower the people who are fully capable, autonomous beings held back by various impediments created by dirigisme, and the state’s failure to provide the basic public goods of law and order, and the merit goods of health and education. In the last election, the Congress crown prince campaigned on the first form of populist program, the Bharatiya Janata Party and Narendra Modi on the second form and won. There are those of course who fear that, despite espousing this second form of classically liberal populism, Mr Modi is likely to follow Rousseau’s recommendations and create a populist autocracy. I doubt this. But, it depends upon a robust judiciary not caving in as it did under Indira Gandhi to her Napoleonic instincts. 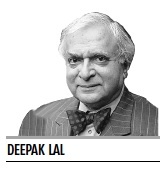 Deepak Lal is the James S. Coleman Professor Emeritus of International Development Studies at the University of California at Los Angeles, professor emeritus of political economy at University College London, and a senior fellow at the Cato Institute. He was a member of the Indian Foreign Service (1963-66) and has served as a consultant to the Indian Planning Commission, the World Bank, the Organization for Economic Cooperation and Development, various UN agencies, South Korea, and Sri Lanka. From 1984 to 1987 he was research administrator at the World Bank. Lal is the author of a number of books, including The Poverty of Development Economics; The Hindu Equilibrium; Against Dirigisme; The Political Economy of Poverty, Equity and Growth; Unintended Consequences: The Impact of Factor Endowments, Culture, and Politics on Long-Run Economic Performance; and Reviving the Invisible Hand: The Case for Classical Liberalism in the 21st Century.